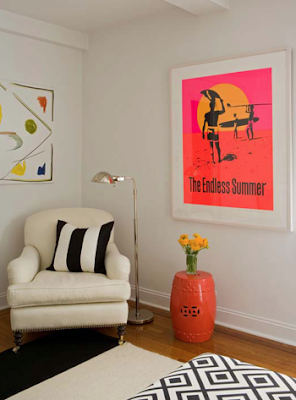 Lynn Morgan Design is firm based in Connecticut who as been recognized as one America's top design firms by House Beautiful magazine. They do not have any rooms which are specifically for children but all the designs below would work wonderfully for children's room designs. She seems to favor crisp white walls with punches of color in window treatments, pillows and decorative accessories. The rooms have a fresh and summery feeling to them. Enjoy! 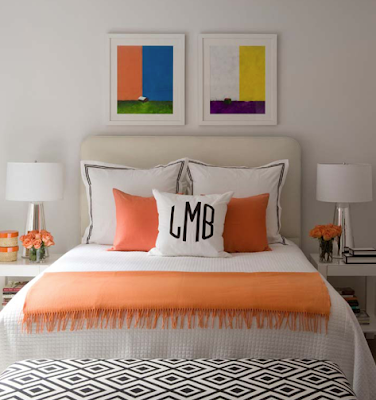 Those orange throws with the pompoms...LOVE! What nice clean and detailed spaces. 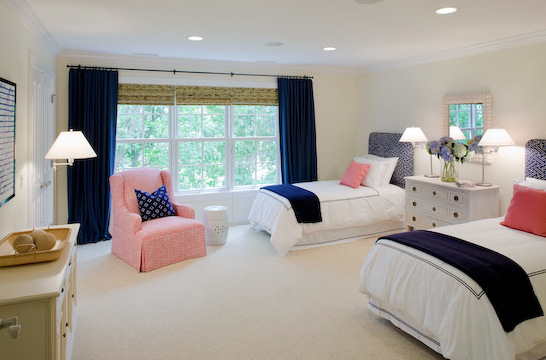 Such great kids rooms! 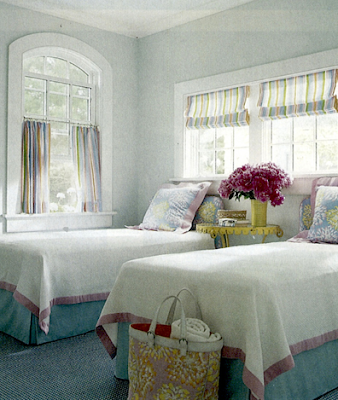 I saw some beautiful Lynn Morgan rooms on House of Turquoise today as well! Stunning!